6/12 Months - $40.99 Only 1 left! In the movie, Bambi, it didn't take long to fall in love with the plucky bunny, Thumper. He's a loving little guy who tries to listen to his mother, loves to eat clover but isn't a big fan of the green stuff. From the time he watches Bambi mistake a skunk for a flower on their first day exploring the forest to the impromptu ice skating lessons on the pond, Thumper makes it his mission to educate the uncoordinated baby deer on the ways of the world. Like many of us, he sometimes gets in a bit of trouble because of his overly honest ways. His mother often has to remind him, "If you can't say something nice, don't say nothing at all". 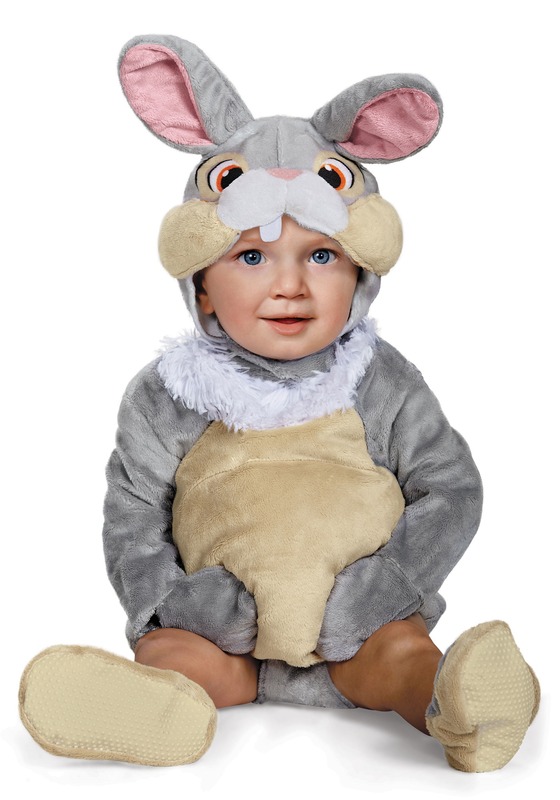 In this cozy plush bunny costume your baby can join the legendary forest trio in their woodland adventures. Now, we can't promise your baby will be nearly as agile on the ice, but we do know he will be just as cute as Thumper in the movie, that's saying quite a lot! Unlike a real bunny, he won't mind when you tug on the sweet fluffy cottontail or squeeze the plush bunny cheeks. All you have to do is teach your little one how to tap his back foot in a rapid fashion and your little guy is ready for life in the forest. Whether you're dressing your baby up for Halloween or just because he makes such a darn cute Thumper, he's sure to love all the "Oohs and Ahs" that come from his adoring fans. 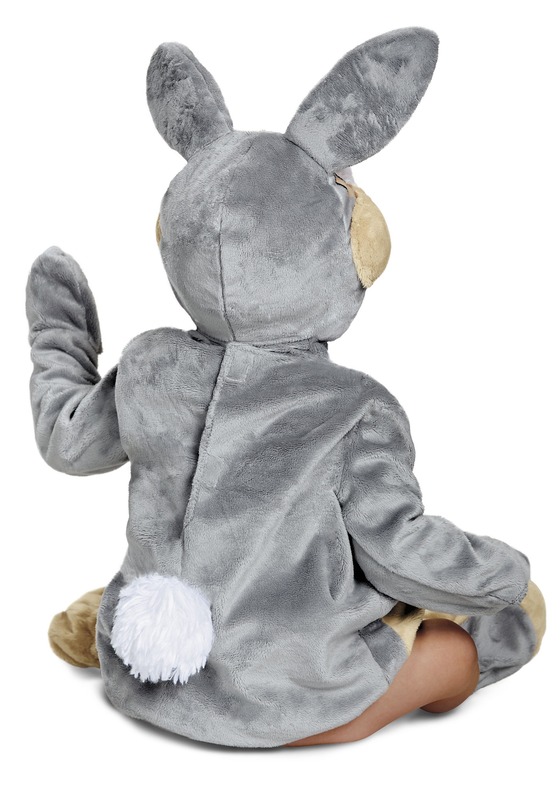 You can easily relive your favorite bunny moments from Bambi, just put this Thumper costume on your babe and teach the little guy a few maxims.